York Constructors, Inc. is a general contractor providing general construction and design/ build services to industrial, manufacturing, commercial and industrial clients in the Southeast. We team with clients that share our values, as well as our commitment to quality and integrity. We build relationships through client satisfaction. In 1976, Bonner York started founded York Construction Co., Inc. Over the next 15 years, he assembled an experienced team who helped lead the company to success. After York Construction was sold in 1996, many of the original team members gathered together in 2002 to start a new company, named York Constructors. With York’s commitment to quality, integrity and relationships, the company quickly developed a solid reputation within the industry. In 2007, York Constructors was named one of South Carolina’s Fastest Growing Companies. Today, we are 100% management-team-owned and operated. 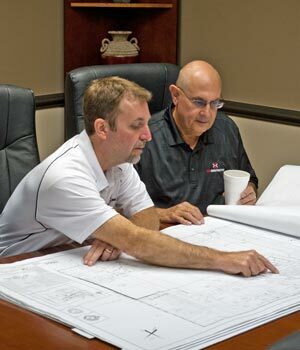 With a combined experience of more than 100 years in the construction industry, our owners are some of the most highly respected professionals in the field. Outstanding. On time. On Budget.